For use with Oils remove the acrylic palette paper and sponge Insert your favorite oil palette paper (not included) The lid will keep your paints clean and help retard drying. 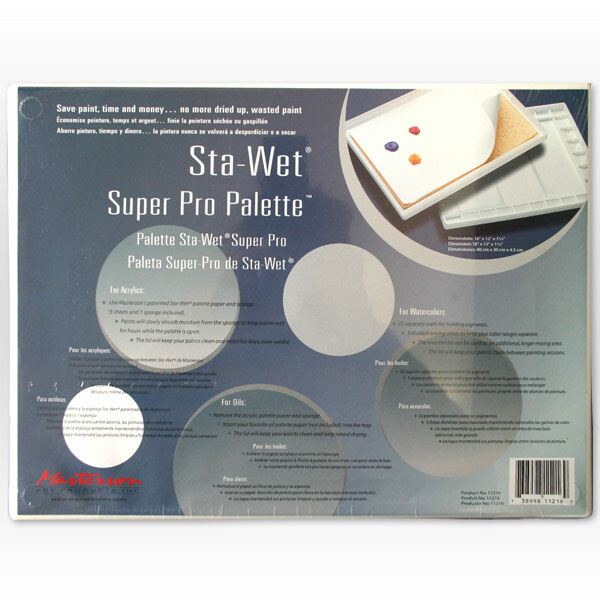 Palette Size: 15-1/2" x 11-1/2" x 1-3/4"
Refill sheets and sponges are also available. The Masterson Palette is the best stay wet palette on the market. I have further extended its use for stay wet acrylics like Gold and Atelier Chroma.